RUM TIME IN RUM TIMES: TA MARTINIQUE! 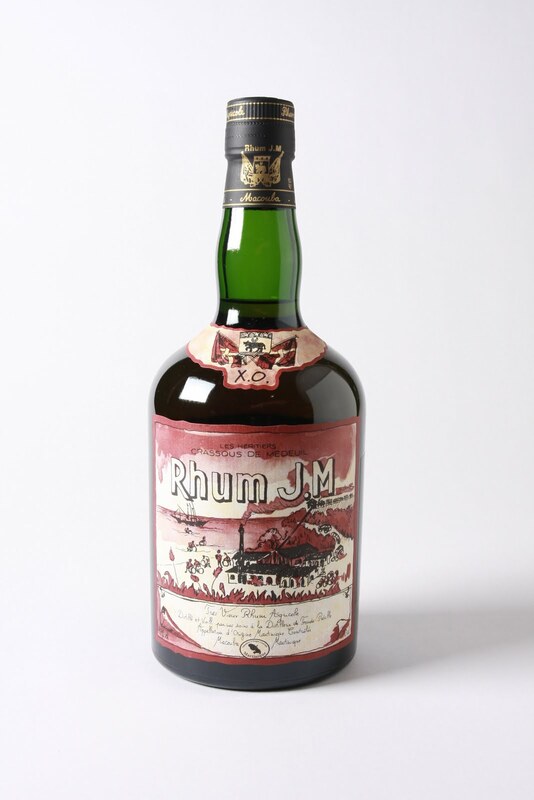 While any hard-core rum sot will tell you that the dark, wood-aged molasses-based rums are the only true sugarcane juice for the aficionado, the immaculate Gill Gordon Smith arrived at my door the other day with a bottle or two of paler beauties which instilled me with rumbustion. Rum was the grease that oiled the slave trade. They called it the Golden Triangle, or the Eternal Triangle. Regardless of how briefly they survived, it must have felt like eternity for the poor bastards who were its prey. Swap rum for humans on the African coast, swap humans for molasses with the cane farmers of the Caribbean, swap molasses for rum up the east coast of the USA, where the biggest distillers were, then back to jolly old Africa. Yo ho ho. Most rum was distilled molasses: a side product of the sugar business. As the traders worked their way north, the last unsold barrels full of the thickest, oldest molasses were dumped at bargain rates to the fishers of Newfoundland, Labrador and the Bay of Fundy. 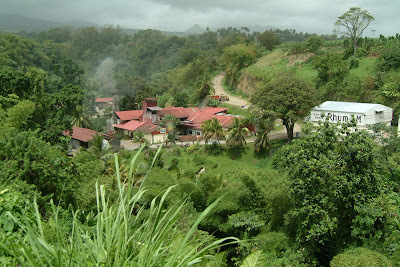 The tough locals there still drink a fearsome rum made from this sludge. They wisely call it screech. The other end of the trade, quality-wise, was where the best, freshest slaves were swapped for the finest freshest molasses, in the southern Caribbean. The planters there were sufficiently well endowed to afford to make rum straight from a ferment of fresh sugar cane juice, which, to this day affords the superior appellation agricole. Gill’s drinks were rums from the tiny French Caribbean island, Martinique. Two came from Rhum J.M, an ancient distillery about the size of Rockford wines. The Rhum J. M Agricola Blanc was a glorious blonde which steered my reflection to the days of the cold war, when Russian vodka was verboten. The unoaked white spirit market was full of rum, notably Bacardi, which fled Cuba when Castro nationalized the business. 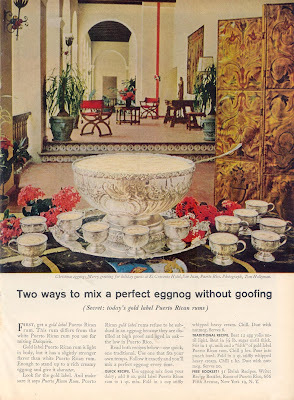 I loved the exquisite Goddards Gold Braid rum in those days, a lightly-oaked pale gold British East Indies product imported and bottled by Clelands. Cuba still sells all its lovely rum under the Havana Club brand; only the advent of Gorbachev unleashed the vodka business, which rules to this day. But these Martinique beauties are certainly not Barcardi, I assure you. The blanc (50% alcohol; $66.50; 94 points) is a delicious, swervy dance of a drink. The distiller’s entrapped a range of aromatic esters reminiscent of butter, banana and rose petal at the fatty end of the spectrum, through to coconut husk and fresh sugarcane leaf at the greener extreme. Add a drop of water, and it becomes Turkish delight. I could sup on it all day, neat, with maybe one small block of ice, but it would also perfectly mix with any tropical fruit juice. 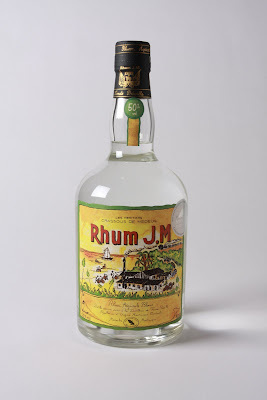 More brooding, but still not dark, was the Rhum J. M. V. O. Reserve Speciale Agricole (47% alcohol; $120; 95 points), which had spent four or five years in old American whiskey barrels. Strong spirit tenaciously tears flavours from even old oak. Occasionally the best cellars learn to entrap a delightful citrus twist, which I have also seen in infant Scots single malts from new American oak. So this wicked tincture, which is about the colour of Curacao, has wound that citrus round its buttery esters to make a bouquet like a Terry’s Chocolate Orange. The oak has also left whiffs of nutmeg, clove and coconut. It’s exquisite. You need no water. The St. James distillery is more along the size of Penfolds. Its Rhum Agricole Royal Ambre (45% alcohol; $60; 91 points) has the dustier end of the oak spectrum prominent, with old spice box, nutmeg and gingerbread. There’s still some citrus, but even that’s more like dried peel. Let it air, and it starts to smell like a burnt orange crême caramel. It’s a neat sipper for the malt whisky nut. But if you really wanta rock with the style pirates, it’s the St. James 12 ans Agricole (43% alcohol; $120; 95 points). A dozen years of oak has raised a salacious doll of a drink with hair the colour of rusty roses and the aroma of a freshly-polished brass giardinere perched in a woody gentleman’s club, stacked with a trifle made from honeycomb toffee, fudge, orange marmalade, fruit mince, and butterscotch sauce. The lads are pouring in through the windows; Drambuie and Benedictine are voluntarily walking the plank. This stunning mouthful of pears seemed to be the hit drink which lubricated the McLaren Vale vintage: it was the preferred drink of many exhausted hose-draggers and winemakers. A classic pear cider from Normandy, it’s only 2.8% alcohol: hardly a heady threat in the strength department. Instead, its strength is in its honest entrapment of the essence of pear juice in its most invigorating, lively form. Just lightly petillant from bottle fermentation, it’s a healthy, zippy, delicious refreshment which comes under a champagne-style wired cork. It works perfectly with or without ice. For outlets call Gill Gordon Smith at Fall From Grace. Another triffic product from Gill Gordon Smith’s formidable arsenal, this ancient Norman spirit is made from a blend of around twenty varieties of cider apples which are fermented, distilled, and barrel-aged for many decades, then “freshened” with apple eaux-de-vie of about twenty years of age. It smells like the perfect apple tart, complete with nutmeg and cloves, soused in some magical liqueur and a dollop of fresh cream. It’s a transporting, ethereal, totally seductive and disarming drink at a great price. If anything this old and characterful ever escapes from Cognac it’ll cost you an extra thousand. The perfect birthday present! There is a mist and a wind-driven shoosh of sideways rain and up on the ridges where I prefer to be, the vintage is being scrubbed by brush and hose from tank and fermenter and people don’t know what to do because it’s over now and there’s not much of it left. I kicked tanks in Chateau Tanunda this last week, which is on a sort of a ridge there above the cricket oval and Lot 1 Moorooroo, the first block in the Barossa to be surveyed. But it's really pretty close to the bottom of the Valley, topographically, while master winesmith name of Tim scours the upper ridges for the very best old Barossa vineyards. He has been known to do this on his classic Triumph Bonneville. He also plays drums in a rock band. He is also one of the best winemakers I know. Of course there’s lots still to attend to vintage-wise: a shred or tonne or bucket of this or that are likely to emerge from here or there if the weather’s right. And then the wines which are finishing their ferments will gradually wriggle through the arcane twists and turns they persistently fizz, tick, or simmer through. There are barrels to wrangle and secondary ferments to steer, and fining and blending and polishing and whatever, but for a moment, the work is done. Smithy was quite literally putting the last of the Chateau’s harvest through the fermenters. We sniffed and spat this and that, and I apologise to Joel Matchoss, who stuck his head out of the bottom of a vat with a brush in his hand and asked me to pass him a hose. I got a shock. This is one of the very best vintages I can remember. I think that as individuals we can recall accurately maybe ten or twelve years of vintage reality: the essence of the flavours eventually fades from the vivid memory, and while one might still draw with great accuracy this and that from great old wines, and great old recollections, most people who were there when it happened forget the real flavours of the vintage before it matures. There is much braggadocio, and often remorse, but little true memory. But I will remember the 2010 wines. Some of the last fruit was Mourvedre. What we used to call Mataro, after the name of a town in the south of Spain where no Mataro grows. For some reason we didn’t call it Monastrell, which is its Spanish name, but now use the French name, Mourvedre. Amusing. The prickly French stopped us using the name Hermitage for Shiraz, because they said we were passing the grape off as a French product. We respectfully called it Hermitage, like in Grange Hermitage, because our original cuttings came from the Rhone Valley vineyard of that name. But the Frogs have no qualms about us using their name for a Spanish variety. As the Australian weather gets hotter, Mourvedre’s likely to be one major grape which takes some pressure from Shiraz, which seems to get too ripe and jammy far too readily with ordinary Barossa or McLaren Vale viticulture laziness. In the south of France, in places like Bandol and Minervois, Mourvedre rules the roost, often blended with Grenache and Shiraz, but usually over-ruling them in the blends, as its flavour is more intense. In some cases, I think it’s far more interesting. This is how vintage goes, always reminding me of how few great winemakers there really are, and how the top of the great squishy wine pyramid, the pointy end, contains so few true heroes. Smithy’s got the touch. He’s in my top thirty Australians. To rub that in, we now have over 2,400 wineries. And as if show awards were something to boast of, the Barossa paper calls him Tim Goldsmith. He'll be a true local when they start calling him Goldschmidt. Get your shiny bottom up to the astonishing Chateau Tanunda now, and buy a case of this delight. Then wrap your sensories around the new Terroirs of Barossa Shiraz wines: one from Lyndock, one from Ebenezer, and one from Greenock. Smithy’s golden touch is beginning to emerge in maturing Chateau Tanunda wines like these. 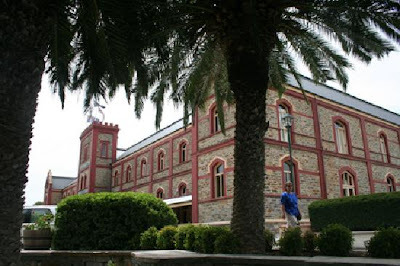 At last John and Evelyn Geber’s multi-million dollar restoration of Sir Samuel Cleland’s mighty stone Chateau has some wines to match the vision and endeavour of such admirable capitalists. It’s a bit silly putting points to a wine of this provenance in such an infant stage, but we do it. This is mighty. It has Tempranillo-like Parade Gloss bootpolish tones in its confounding depths. If its vineyard was not quite so venerable, it would fit perfectly in the $48 Terroirs trio, as it’s not like any of those. It has posher French-coopered oak, because it deserves no less. Between that spicy decoration, and the schisty, stony tannins which glower below, there’s layer upon layer of fleshy, intense, devilishly seductive Barossa Shiraz of the highest calibre. Cellar. This is Tim Smith’s best wine yet, which is saying something. It pulls you up. Great noses which generally sweep over glasses are suddenly brought to a dead halt when they hit this one. It’s harmonious; perfectly formed and alive, with all the right stuff in abundance: the nightshades, the carbon black, Smithy’s forge, prunes, Morello cherries, dried fig … buy some quickly, but drink it slowly: it needs a decade of dungeon or a day with the top off. Forget Bandol and Chateau-Neuf: this new Australian sets a standard that renders your regular GSM null and void. 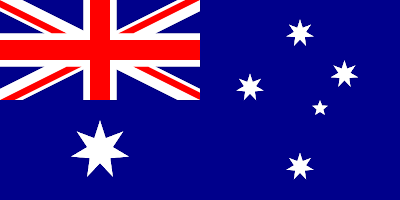 Constellation Wines Australia (CWAU) offers a diverse portfolio of wines from key growing regions around Australia. CWAU is part of the world's leading premium wine company, Constellation Brands. Working in a dynamic, fast-paced environment, you will take a leading role in developing, managing and implementing public relations strategies that drive the company's positioning domestically and internationally. As the expert, you will lead your team in developing and building productive relations across media and other key decision makers. You will have excellent interpersonal skills which will enable you to develop and maintain strong relationships while adding media value. Whilst solid wine industry experience is preferred, success in a similar beverage, FMCG or agricultural sector will be considered favourably. Strategic planning strengths as well as excellent written and verbal communication skills are essential. Tertiary qualifications are considered necessary. Applications in Word format only should be forwarded to Wayne Kinner by e-mail to 12675@hender.com.au Telephone enquiries are welcome on (08) 8100 8812. One week is an eternity when you’re in the wine business and you’re looking vintage in the eye. I’m writing a week before you’ll read this, and the grapegrowers in this neck of the woods – McLaren Vale – can’t believe their fortune. The extreme heatwaves earlier were mercifully brief, and those with a good carpet of sward have seen their earth retain a lot of the moisture from those lovely rains. It’s been humid, like Bordeaux, but persistent breezes are thus far keeping everything clean and dry in the vineyard canopies. 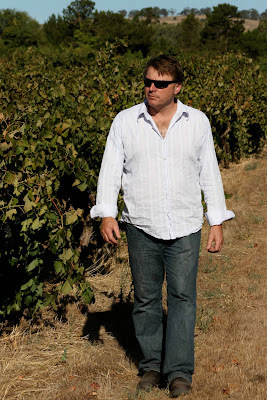 Warm days, cool nights – 2010 could be the best vintage in many years. If it holds. But in the face of what appears from here to be a cracker year, there’s the little matter of financial reality staring the growers down. McLaren Vale, like many other districts, faces the horror of sudden, violent price cuts: there’ll be no new Beemers and Benzes this year. Or next. The wine industry disaster does not stop in the Murray-Darling Basin. You’re barely covering your cost, if at all. If you’re silly enough to grow Chardonnay, $500 a tonne seems magically generous - you can buy finished Riverland Chardonnay from tank for .50 cents a litre. Constellation Wines, the world’s biggest wine company, competes with Fosters to buy McLaren Vale fruit. Fresh from uprooting John Reynell’s priceless 162 year old vineyard to make way for a yuppie ghetto, this mighty transnational has decided no Vales fruit is worth much more than $1,000 per tonne. Unless you make the cut for the super-premium Eileen Hardy red, you won’t be getting more than $1,000 per tonne, and many will be getting much less. All the medium-grade fruit - McLaren Vale’s specialty - that usually earns $3,000 per tonne (Grade 3) or $1,800 (Grade 4) will be pulling $1,000 max. Even the great prices offered Eileen Hardy quality fruit are to be disbelieved, as Constellation made no Eileen at all last year, and only a relatively tiny amount the year before. In the letter Constellation sent last week to its growers, it even offers them a one-year break from their contracts, should they find more generous buyers. But like any Indian giver, it announced this news far too late for most growers to find new buyers. Also worth noting, that as far as Constellation is concerned, the discount Oomoo is now on a par with Tintara, with $1,200 per tonne being the maximum “bonus” offer for fruit for both. Which was earning two or three times that price two or three years ago. Constellation called a meeting of growers at the Tintara Winery on 21 January, and made them an unacceptable offer. The growers left with a promise that Constellation would reconsider. But the forthcoming letter contained precisely what nobody wanted to hear, let alone believe. So they went soft on Mataro, aka Mourvedre or Monastrell, to the tune of 10% of bugger all. That was their sweetener. If they buy more than 40 tonnes of Mataro this year I’ll drink it all personally. What they’ve done is remove the heart of the district’s income. Growers were going to great lengths to improve their viticulture and quality of fruit so they’d be nudged up to B and C grade prices, not D-. So there’s only one sort of fruit in the big buyer’s eyes, and that’s that: the mention of the Eileen Hardy name was a huge frigging tease. 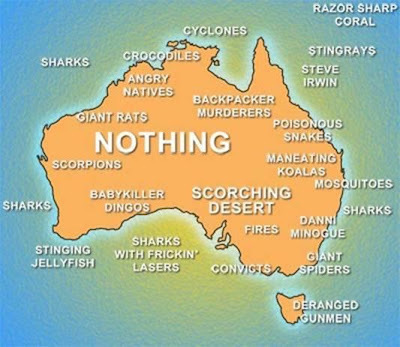 Add all the viticulture consultants, the tractor dealers, the farm supplies businesses, fuel suppliers, hoteliers, restaurateurs and whatnot who will be gutted by this, and you’re only just starting to get the picture. A near-perfect vintage is grinding to its close. But South Australian grapegrowers are reeling from the irony of their lot: while 2010 is one of the best quality harvests in decades, international oversupply puts their livelihoods under severe and immediate threat. In fact, all the numbers are perfect apart from the price. The cool, mild weather has kept natural acids high, perfumes pretty, colours and tannins intense, and pH levels easy to manage. But many growers who were getting used to $3000 a tonne are looking at the loss of that last critical zero this year. Many vineyards have been left unpicked; many are available for sale at ridiculous prices. Some growers cannot afford to hire a bulldozer to clear their land for sale or other uses. In a real test for the planners, the South Australian countryside is set to undergo a major change of appearance as vineyards disappear. Tetchy banks will lend you money to buy your little farmlet with its home, garage and pool, but make one mention of the twenty acres of Chardonnay and the loan’s likely to evaporate on the desk. The record heatwave of early November damaged many vines at their critical flowering moment, destroying most of the Grenache, and various other varieties. But the following weather was mild and reliable, and most varieties pretty much cruised through. Only to be worth two fifths of bugger all. Tales of great meanness continually arise. In McLaren Vale, growers are enraged that brokers who offer them $300 per tonne for fruit that has cost them twice that much to grow, then have the audacity to put $150 on their retail price. TOM ANGOVE: A GREAT WINE MAN, BUT HARDLY THE INVENTOR OF THE BLADDER PACK. Tom Angove did not invent the bladder pack. The great Tom died in a Riverland nursing home last week, after ninety-two astounding years. He was a fierce fellow; a clever inventor, relentless innovator and a mighty proponent of the irrigated vineyards whose fruit has since filled billions of chrome handbags and silver pillows. 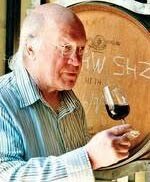 Tom’s role in shaping the modern Australian wine industry is at least as significant as the Chaffey brothers: they developed the irrigation systems; he showed the world how to plant vines: if you stand in the middle of his Nanya vineyard at Renmark, you cannot see the ends of the rows. He was also a pioneer in the use of stainless steel for large wine tanks. But the plastic bladder pack had been a common vinegar container in Europe twenty years before Tom plonked it on Australian tables in 1965. About half Australia’s wine is still drunk from much refined versions of his prototype, which didn’t even have a tap. 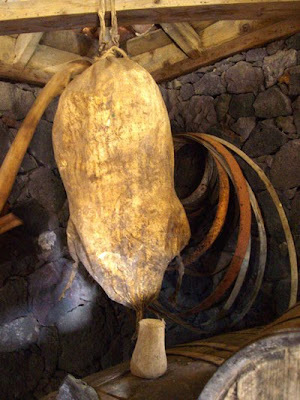 All these containers evolved from the wine skin of ages past: the South Australian museum has a fine example in its astonishing Aboriginal collection, made from the hide of kangaroo, and used for carrying water. One can’t help wondering how different campfire life would be if the shiny modern replacement contained only water. In the early ’fifties, another brilliant winemaker, Ian Hickinbotham, left, had played with the notion of using giant plastic bags to line the 30,900 litre wine tanks he’d inherited at the South Australian Grapegrowers’ Co-operative Limited, which he wisely renamed Kaiser Stuhl. These concrete tanks were fine for storing fortified wines: to an extent, their high alcohol prevented overt oxidation. But when the trend to finer, drier table wines took hold, oxidation became a much more confronting problem. 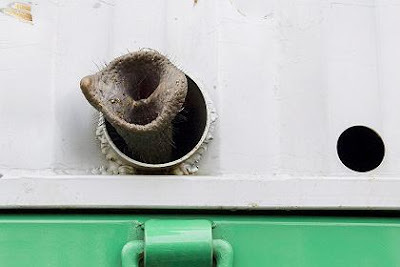 While he left Kaiser Stuhl without perfecting this idea, others certainly finished the job: enormous volumes of Australian wine are now exported in huge bladders within standard shipping containers. In a method fraught with the danger of the product being diluted with poorer, cheaper wine from elsewhere, this is then bottled in Britain or North America and promoted as being more environmentally responsible, trimming the carbon footprint of transporting heavy glass. While he was eternally frustrated that Penfolds “just could not grasp the importance of the venture” Hickinbotham was keen to use the bladder pack for super-premium wines, even Grange. His proposed box was the same proportion as a house brick: “height was twice width, which was one-and-a-half times depth … that formula was retained for table casks for years”. In those early days, the actual bag was the biggest problem: ICI seemed incapable of making a film which did not leak. Rather than pursue a superior film, Penfolds launched their “wine cask” in a can about the size of a large paint tin, painted to resemble a barrel, which horrified Hickinbotham. This was to avoid damages claims from people with stained carpets and tablecloths. Nevertheless, the venture was short-lived, and within a few months, Penfolds ceased manufacturing the new product. At which point another wine genius, David Wynn, entered the picture. 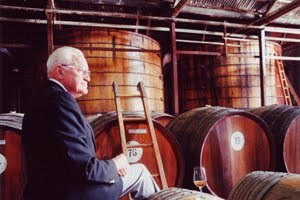 Hickinbotham had worked for Wynn at Coonawarra, making the world’s first deliberately-induced and managed malo-lactic fermentations in 1952, so Wynn was aware of Hickinbotham’s ingenuity, and had been following the bladder pack evolution. Wynn was quick to abandon the ICI film, replacing it with a superior product from Japan. With the driving nous of Tony Herbert, Wynns’ technical manager, they then developed the first sandwich film, further reducing the oxidation of the wine. Tom Angove certainly rewrote history by giving us his take on the bladder pack, but the story’s not over yet. The next step is to develop film that will not release polyvinyl chloride, will not degrade in UV light, and will not taint the wine over time. And then, of course, we have to learn to fill these containers with a better product. The thought of a fresh trickle of water entering the Murray, only to be sucked through the roots of billions of vines, siphoned to the berries, and jammed through stark refineries to be pumped mindlessly into silver pillows, somehow seems not quite the celebration all that ingenuity and acuity deserves. As for intelligent reviews of bladder packs, forget it. There is never any guarantee that the bladder I taste comes from the same tank as the bladder you buy.